First African American woman to institute the Virginia Sickle Cell Anemia Awareness Program at the Medical College of Virginia (1972). As a result of the program, every child in Virginia is tested. 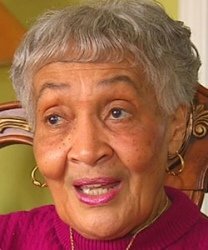 VCU School of Medicine and the Medical College of Virginia Foundation have created a professorship in her name, the first such professorship to be named for an African American woman in the United States.